After breakfast at the Western Big Sky Inn and another morning scratching (and shaking) my head at US news I exited my room to see a welcome sight: a hippie van covered in Grateful Dead and Phish stickers with Kentucky plates. I waited a bit to see who was driving it, then met Trey, a guy living in Clifton in Cincinnati that was trying to make it to Spokane. I think he was my ninth or tenth Cincinnati connection since the tour began. We started talking, and he was a fun guy. And he had an awfully big van. 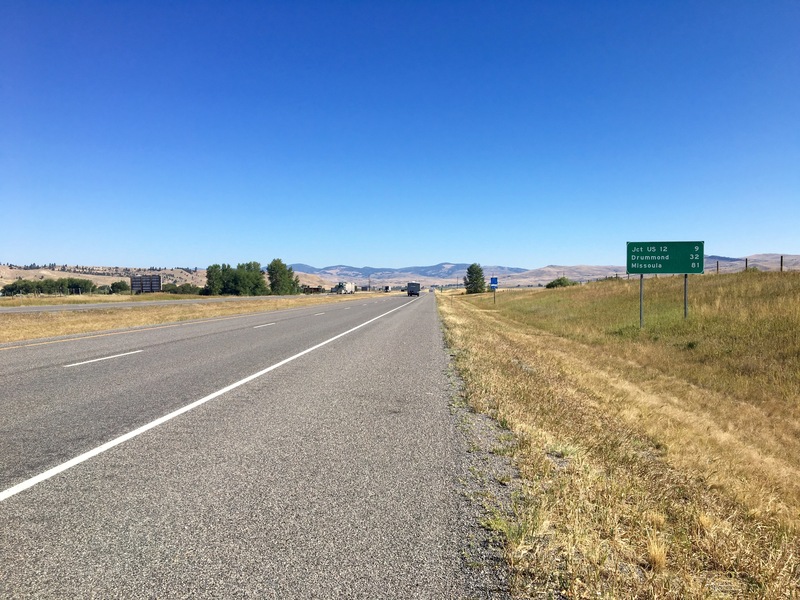 My mind started wandering… Will my thirst for adventure be sated by asking for a ride to Missoula? He was going that way anyway and we could talk about the Dead for an hour and a half. But no. My tired lull the past couple days wasn’t enough to get a ride, adventurous though it would have been. I’ve gone the pure route this far and I won’t give it up that quickly. But I was close. Boy, was I close. 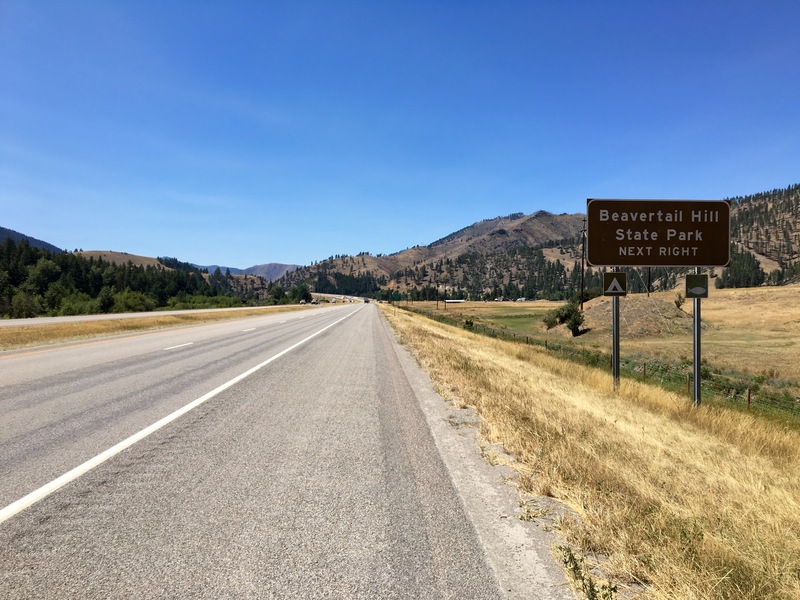 I reluctantly shook the man’s hand and rode off to the frontage road for I-90 that would take me to Beavertail Hill State Park 56 miles up the road for the night, making for a short but hilly ride into the bicycle touring Mecca that is Missoula. But right before I got on the road I started thinking. 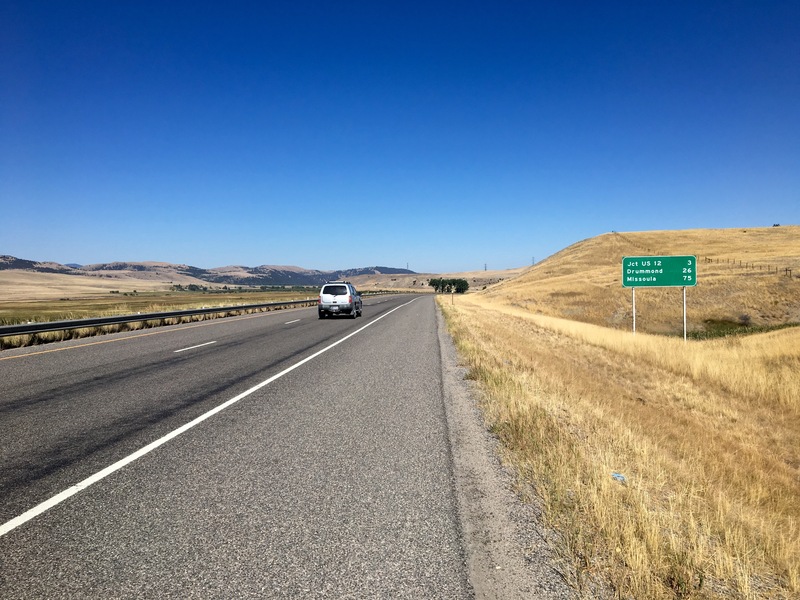 How far away was Missoula if I stuck to the interstate? 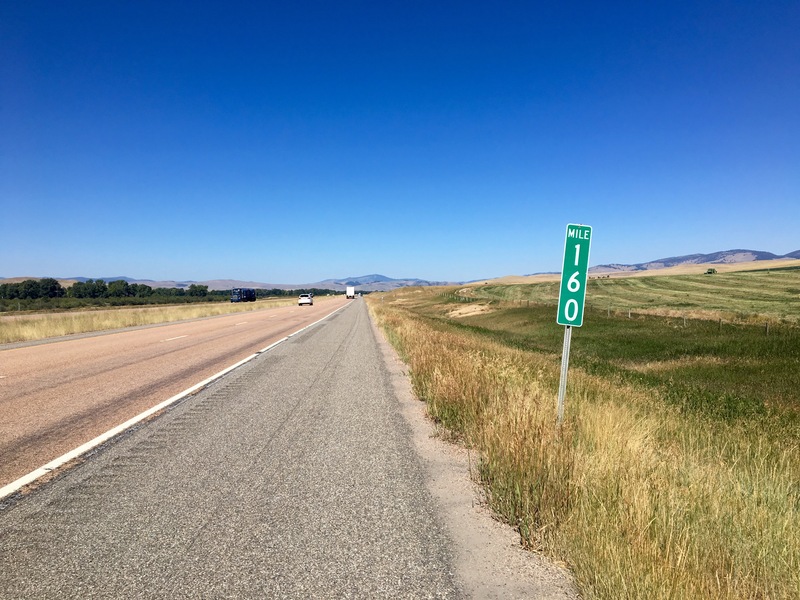 I checked – roughly 83 miles. 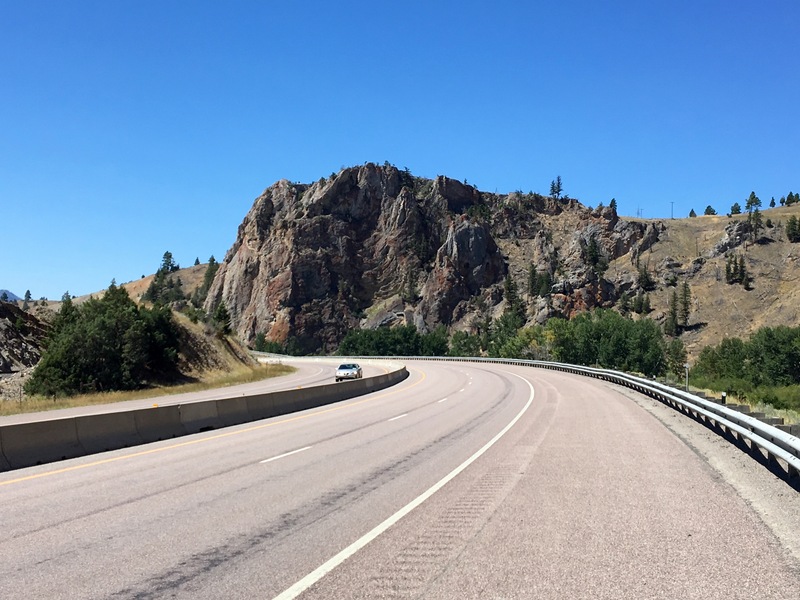 I remembered what a traveling construction worker told me in Butte – the interstate is all downhill to Missoula, whereas side roads would require a fair bit of climbing. About seven miles in I felt nothing. No fatigue, no pain. State park nothing. I was going for it. It made me realize I had been playing it safe for a bit. 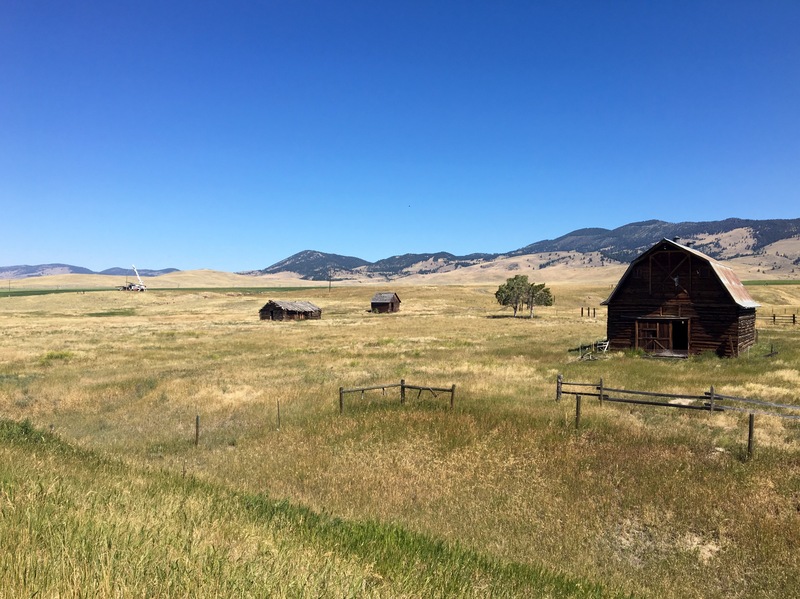 Part of that had to do with good places to stop being closely spaced; I could have easily ridden on from Big Sky past Bozeman, but then I wouldn’t have seen Bozeman or fixed my bike and such. 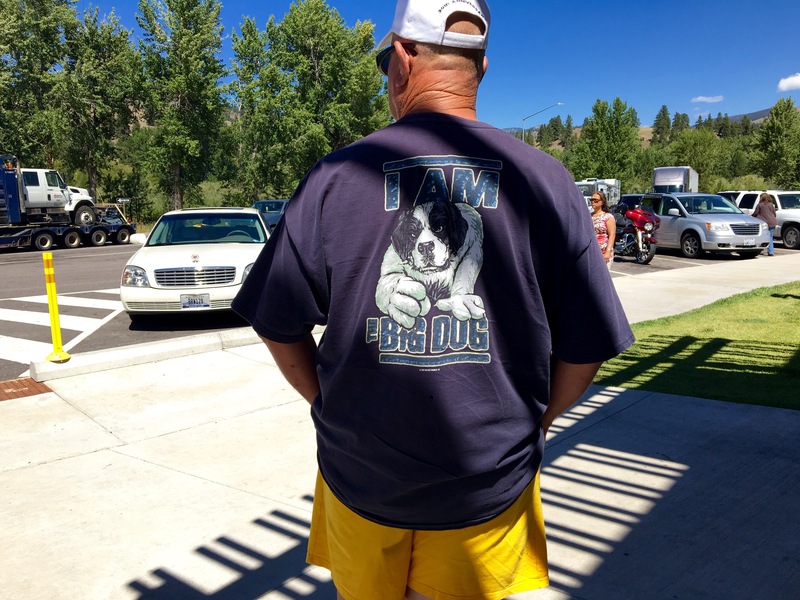 But Missoula kept feeling elusive, and by going for it, I made it mine. It was a bit of self empowerment right when I needed it. Didn’t even faze me. No services for 28 miles? No problem. I was good. It was another indicator of how far I’ve come. I used to be tethered to service stops, always imagining them as becons. But I didn’t need this one. It felt fantastic. As did the riding on the interstate. It was some of the easiest riding I’ve done so far. The shoulder was enormous. Auto traffic didn’t have to swerve for me and I never once felt unsafe. The only thing I really had to worry about was shredded tires and the associated tire wire. Something told me I’d finally get my first flat on the tour. But I never did. While riding on the interstate was a peice of cake, there were a couple small downsides. The first is that it’s a little boring compared to surface roads. You know how your mind can just wander when on an open highway for a long time? Well I found out today that pretty much the same thing happens when you ride on one. I just didn’t have to think as much about my riding. That downside had hidden benefits, as I’ll get to. 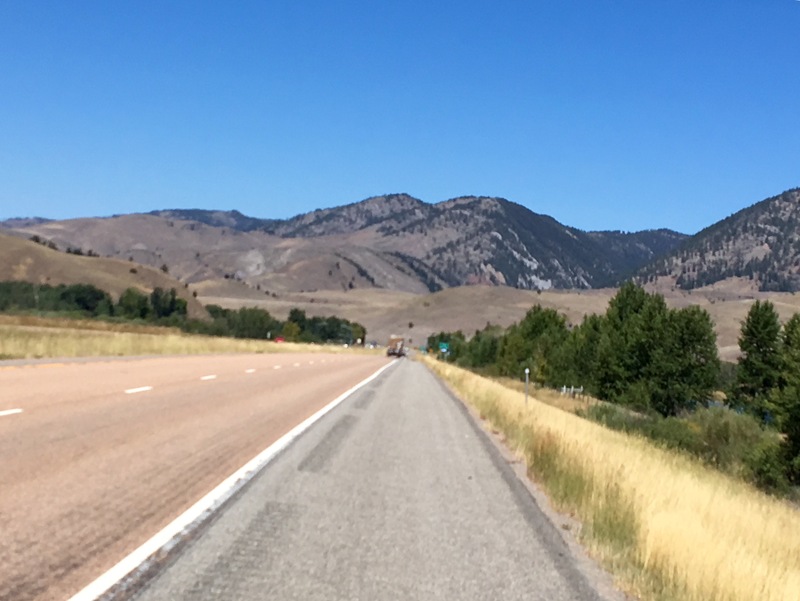 And just counted down the miles into Missoula. I generally don’t like quantifying my touring (hence no daily milages, top speeds, etc. Who needs it), but I appreciated the mile markers today so I could gage how I was feeling compared to how I normally feel. 25 miles in I felt like I had just done only 5. It was a strong day on the bike. Wind still had to be reckoned with, but only a little. Gravity and my legs more than made up for whatever drag I experienced. And the mountains…. YES. It was another day where the cliff side came right up to the road, and that was just fine by me. Ok, there was a river there too. But still. What I said earlier about interstates being uglier? See? His shirt says so. 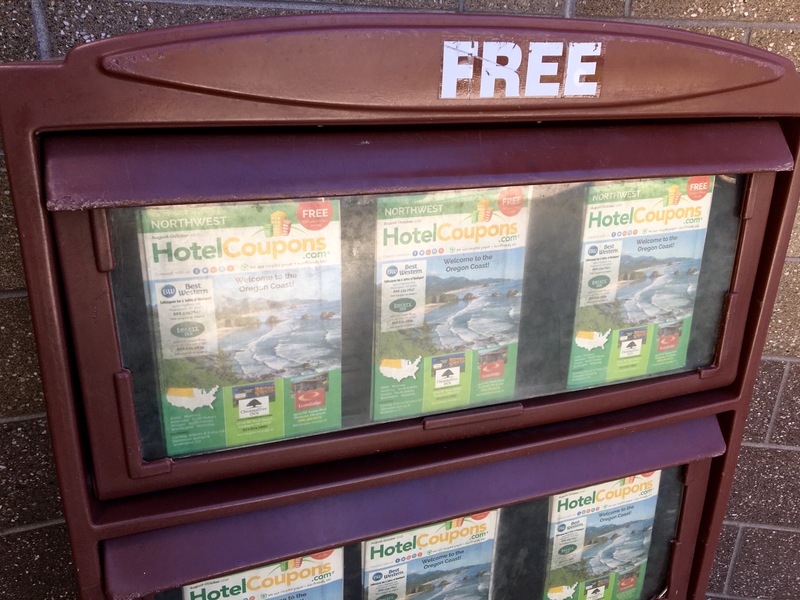 Regional hotel coupons advertising the Oregon Coast. My first cue… I’m close. I’m so, so close. These have been all over the place since Wyoming. 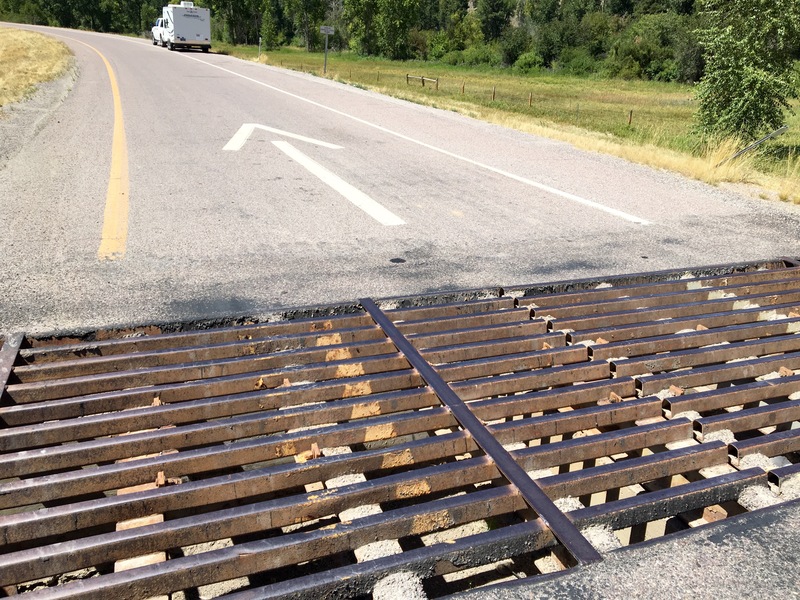 I have no idea how they stop cattle from entering a roadway, I just hope it doesn’t hurt them. But it got me to thinking. 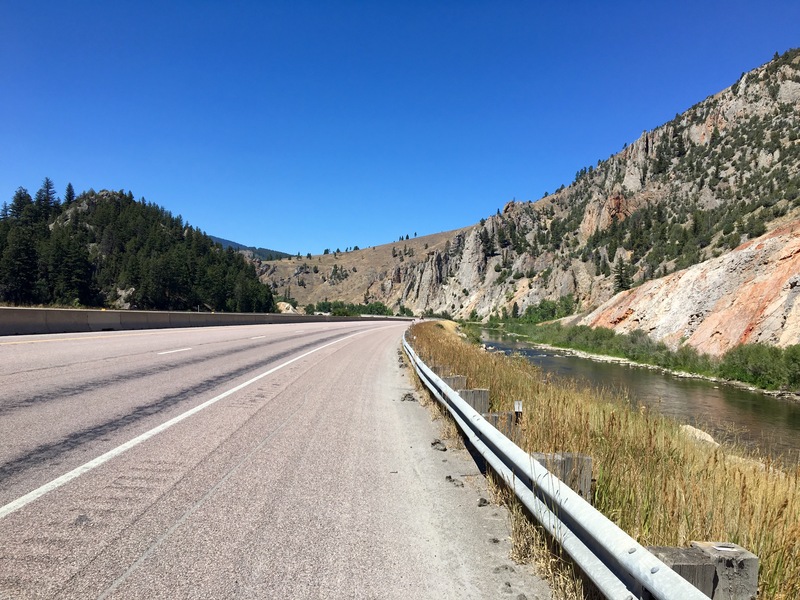 Why aren’t bicycles allowed on the interstate? I never once felt unsafe or like I was a burden to drivers. The convenience was just as welcoming as it would have been if I were in a car. 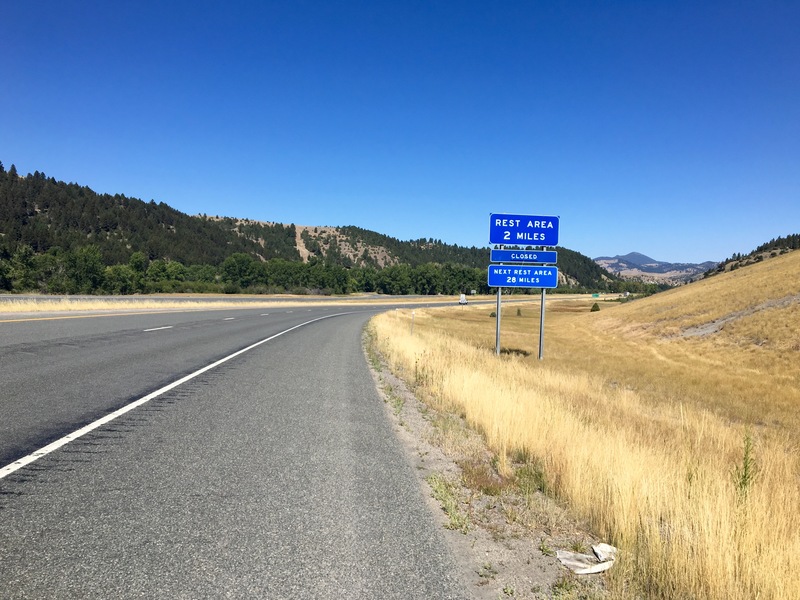 It was easy riding, and while not necessarily my first choice for distance cycling, interstates would have been so helpful for certain portions of the tour to this point. I started imagining a pro-interstate bicycle advocacy job in the future, but on that front, I have to think more tangibly. But it was right around passing the state park I was going to stop at when I thought about the whole job/life thing, and I had to put that aside and think about my move for the rest of the day. I didn’t think much. At all. I was going to Missoula. I felt fantastic. So my mind went back to the job thing. I started this ride to look for a new life, whatever that would entail. For thousands of miles I kept self flagellating for not really coming any closer to an answer. 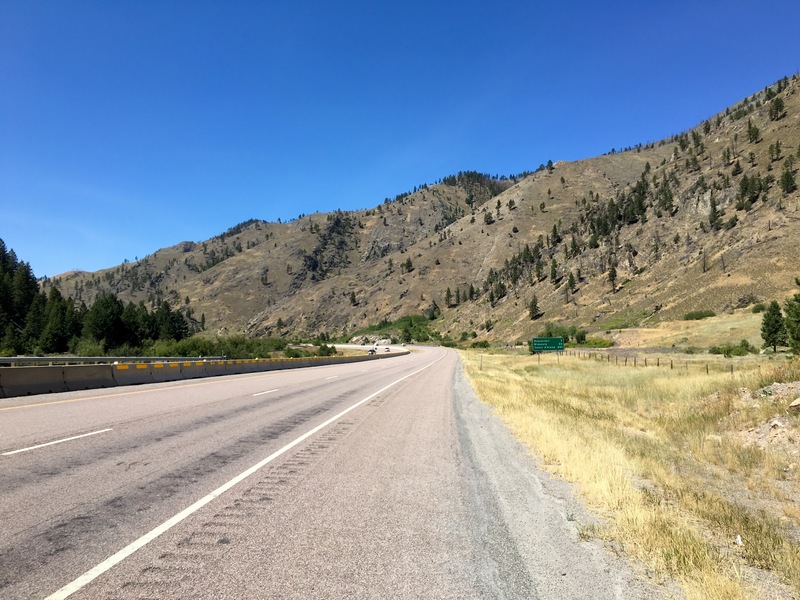 But something about the interstate letting my mind wander, in conjunction with a few random, isolated experiences since coming through Colorado, and a lightbulb went off in my head. I think I may have a plan for life after this is done in a few weeks. It’s not a huge thing. It’s not revelatory. 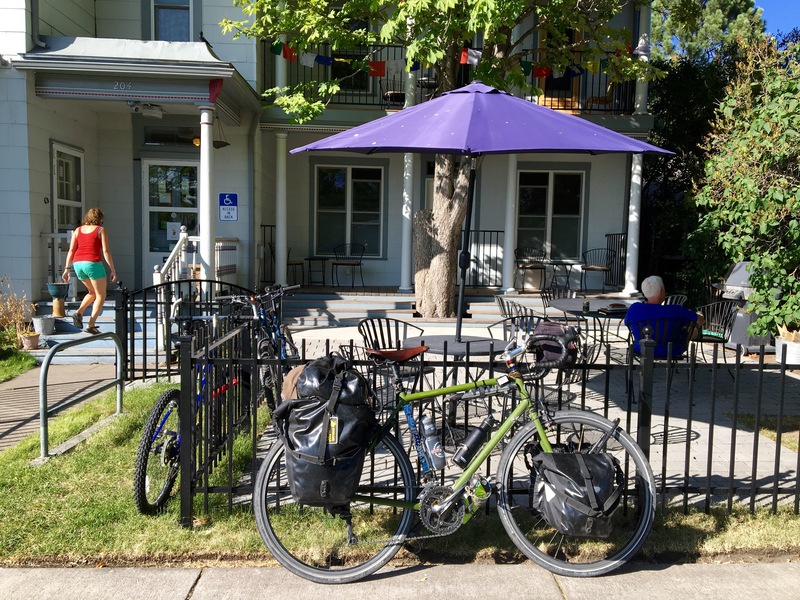 But it can offer some element of stability that allows me to make money, have a roof over my head, have food in my belly, and, if I can figure it out, allow me to keep adventuring on two wheels. But that’s all I’ll say about it now. I have to do a lot more research and thinking about it. 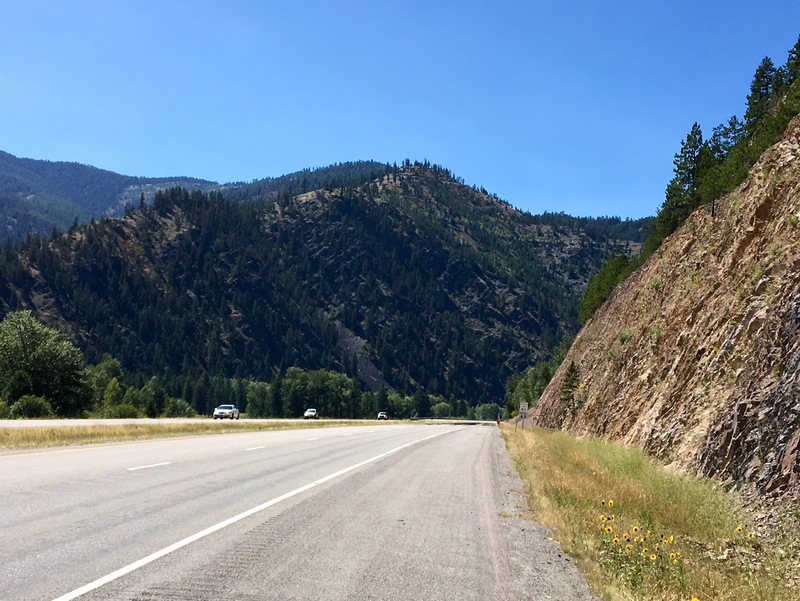 Before long I was on the outskirts of Missoula and stopped for a cold drink again (another hot, dry day in the mountains). 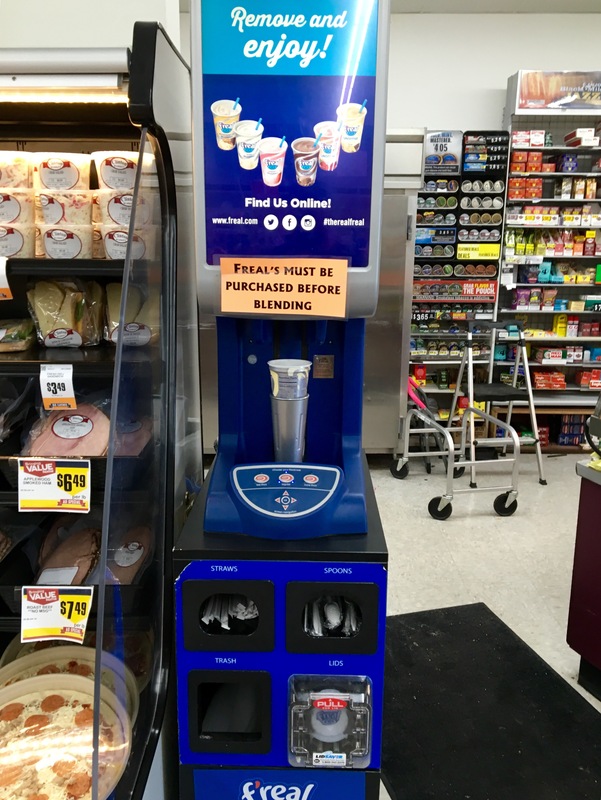 But they had a F’real machine! These things are fantastic. You grab a cup of rock-hard, frozen goop, stick it in this machine, choose how thick you want it, then whips it all up into a milkshake. Such a goofy novelty. They were peppered all over gas stations in the plains but I hadn’t seen one since Wretched Nebraska I think. Delightful. 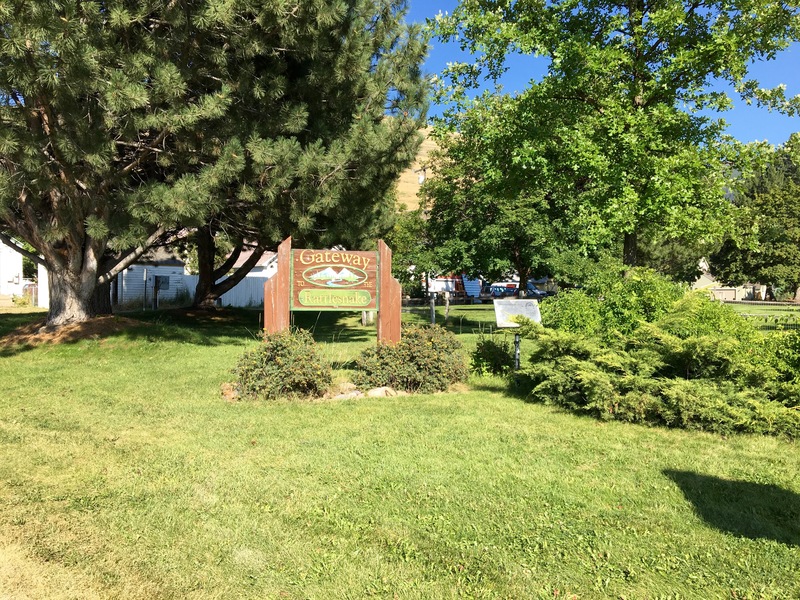 I eventually made it into Missoula proper, and got off the exit to the hostel in town…a statement that still makes me giggle. Getting off an exit while riding a bike. Aw shucks guys. 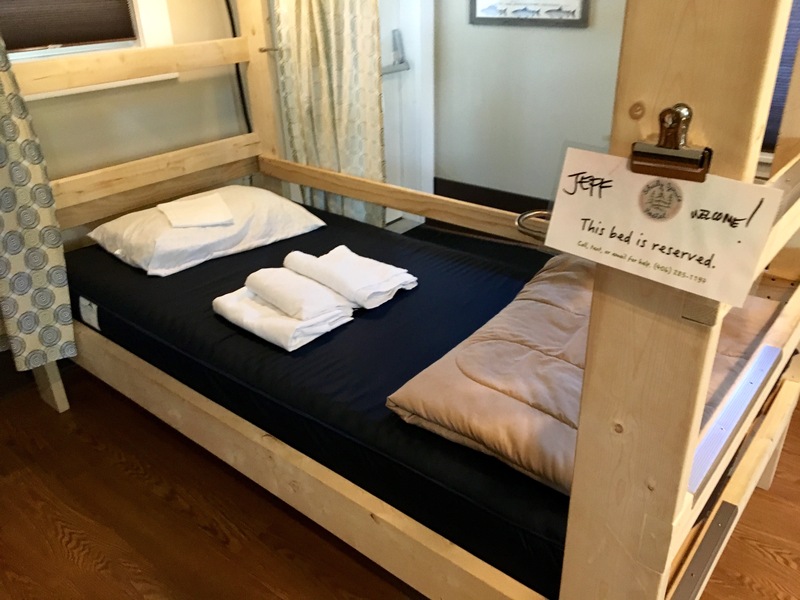 I’ve never felt more welcome in a lodging situation. But who is doing this with no one working here?